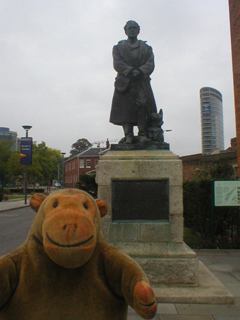 "We got out just before they shut the gates"
Before leaving Mr Monkey stopped to look at a statue of Captain Robert Falcon Scott, who went to the Antarctic in 1910 and never came back. 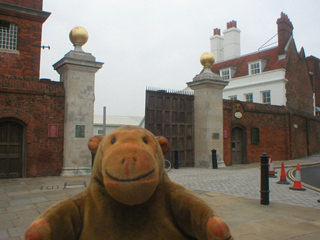 Then Mr Monkey scampered through the Dockyard's main entrance, the Victory Gate. 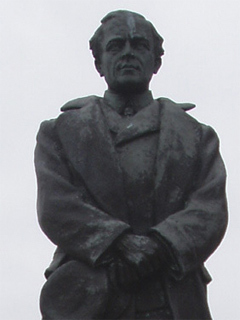 There used to be an iron arch between the pillars, but it was removed when the gateway was widened for motor traffic during World War Two.